Scoil Mhuire Junior School began under Principal Nan Carey back in 1976, with three classes in the hall of our Senior School. Within two years the eight classrooms had both teachers and children to fill them. In 1983 and 1984 the growth of Newbridge brought on a need for even more classrooms and four more were added on at each end of the two halls. his doubled the number of classes to sixteen. September 1997 saw Mrs Carey take retirement having developed the school from three to sixteen classes with a new building. October 1st saw the new Principal Bryan O’Reilly take over the seat. Extensions continued with the growing needs of the school in the shape of new larger offices, staff room and prefabs for Learning Support Teachers, along with a new parents’ room for the new post of Home School Liaison Teacher. A 2 million euro refurbishment was completed in 2005 improving the School and its environment considerably. More recently in September 2009 the latest building project added further permanent space to the Junior School, giving us four learning support rooms which cater for Learning Support, International Children and Resource work. From an acorn a mighty oak grew! Scoil Mhuire Junior School began under Principal Nan Carey back in 1976, with three classes in the hall of our Senior School. The following year when our own school building was ready they moved in. Within two years the eight classrooms had both teachers and children to fill them! In 1983/84 the growth of Newbridge brought on a need for even more classrooms – and so four more were added on at each end of the two halls (presently rooms 1 & 2, 7 & 8 at the front and 9 & 10, 15 & 16 at the back). This doubled the number of classes to sixteen! September 1997 saw Mrs Carey take retirement having developed the school from three to sixteen classes with a new building. October 1st saw the new Principal Bryan O’Reilly take over the seat. Extensions continued with the growing needs of the school in the shape of new larger offices, staff room and prefabs for Learning Support Teachers, along with a new parents’ room for the new post of Home School Liaison Teacher. Two years later in 1999 we had the honour of welcoming the President of Ireland Mary McAleese on a visit (click here to view some photos of the day). In the same year the Alive-O religion video for 2nd Class Level was filmed in the school, a video still watched by 2nd class students throughout Ireland today. 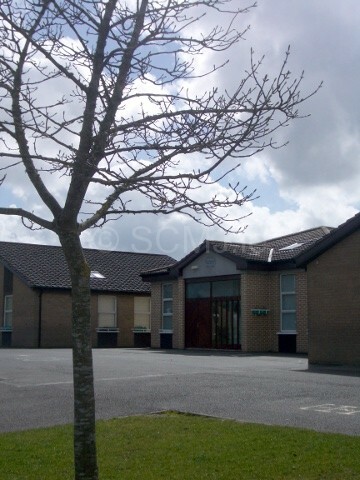 A 2 million euro refurbishment was completed in 2005 improving the School and its environment considerably. More recently in September 2009 the latest building project added further permanent space to the Junior School, giving us four learning support rooms which cater for Learning Support, International Children and Resource work. That the board of management, staff and parents working as a team provide support and education to all children of every class, creed or abilities. That every aspect of each child’s intellectual, emotional, spiritual and social needs be nurtured and encouraged to develop to its utmost potential, in his or her own time, in a happy safe environment. Aims of Scoil Mhuire Soisearach. To recognise and foster the social intellectual, emotional and spiritual potential of each child who attends the school. To make Scoil Mhuire a place where children feel – safe, secure empowered and aware of their own environment. To provide an environment that is happy and fulfilling for children and staff. To foster a school ethos which is catholic and which develops an awareness and respect for other denominations and beliefs.